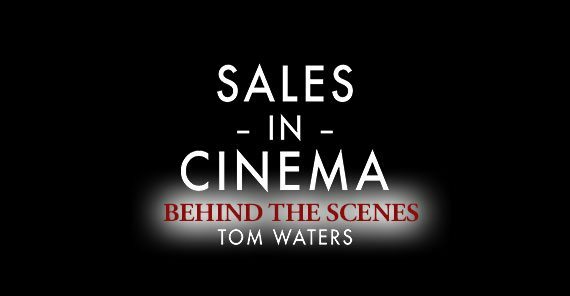 If you haven’t seen it yet, click here to view our fourth episode of Sales in Cinema! This blog post is a supplement to the topics outlined on our YouTube channel. Why do we take comfort in Disney movies? Disney’s process management techniques leverage our psychological tendencies to prefer experiences that feel familiar to us. In the earlier days of hand-drawn animation, Disney would reuse art cells from older movies to save time and money when developing new films. This tactic extended to sound effects as well. If a producer could apply old works in new productions without the audience noticing, movies could be made with tighter budgets and over faster timelines. Over time, the practice of sampling prior works were shown to have unexpected positive results. Audiences loved reliving classic tropes through a different lens. Have you ever wondered why you hear the same songs on a radio station over and over again? Or why the most popular songs usually sound very similar? The easiest way for a popular brand to continue to generate mass appeal is to apply familiar concepts to fresh content. These concepts can be applied to enhancing the customer experience within your business. I call it the Iteration Upcycle. The Iteration Upcycle is a technique used to safely experiment with new ideas by baking them into previously effective works. In order to properly execute the Iteration Upcycle, you must closely examine your legacy systems. The goal is to identify and record each stage of the client experience. From there, you can replace the areas that have neutral or negative results with new concepts designed to delight. 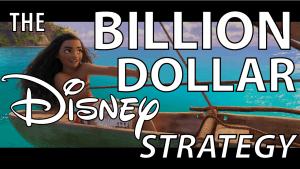 Analyzing the huge library of movies produced by Disney Studios, I recognized three variations of the technique. The first, Familiar Framing, creates a subtle feeling of familiarity without an explicit connection to older experiences. The second, Recycled Content, takes preexisting formats that were proven to be successful and implants them in a new setting. The third, Strategic Subversion, takes Recycled Content that has been overused and adds a twist to break expectations. You can apply Familiar Framing in your business to send subtle cues to your prospects and clients to increase comfort with your brand. Comfort is the cousin of loyalty. A comfortable prospect is more willing to buy and a comfortable client is more willing to stay. Designing a Doctor’s office waiting room to feel like a living room. Baking cookies during an open house real estate sale. Discussing personal experiences during a business call. The act of humanizing your business to create a personal connection to your brand helps remove the standard barriers developed between the buyer and the seller. Recycled content takes the most effective elements of your business or industry and incorporates them into a different setting. Taken from your industry, this approach provides your customers with the experience they have grown to expect from your business. Applied within your brand, this approach enhances your customer experience through other areas of engagement. Follow ups are considered essential during the sales process but are rarely executed post-sale. Creating a follow up process once a customer is already won will add value to their experience, create loyalty, and provide opportunity for more sales. Having trinkets for children at a medical office to encourage families to return and improve the child’s experience during a doctor’s visit has become an industry standard. Answering a business phone call with the name of your business and your name is the minimum expectation of a professional office. Strategic Subversion is the most fun to invent in my opinion. It has the potential to really set your brand apart from competitors while retaining all of the benefits of the Iteration Upcycle technique. When your customer feels like you’re yet another clone that offers no additional value, you introduce a new element to break their expectations and improve the impact of your brand. Maintaining an unexpectedly hilarious social media presence. Perfected by Wendy’s twitter account. The world is becoming increasingly standardized for a reason. Maintaining expectations and developing well-known systems is bolsters the impression of your personal brand. Finding creative ways to subvert expectations while utilizing proven systems will develop excitement around your brand and build chatter about your customer experience.